Of all of the innovative business strategies law firms routinely undertake, one is often overlooked: innovative and efficient professional office interior design and space planning. One of the most important elements of a sound law firm strategy is to consider using the firm’s physical space as an opportunity to reinforce law firm image and brand identity while creating a vibrant and healthy work environment. The first impressions that a client, prospective employee or opposing counsel has of the firm’s physical space is critical. 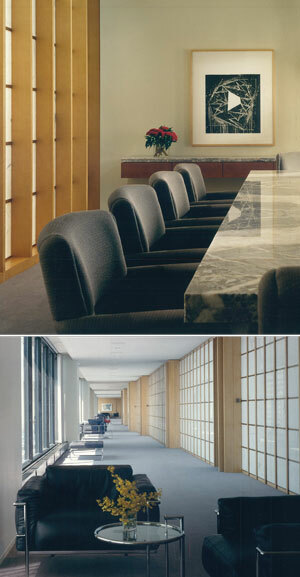 In consulting with a law firm, one of the interior designer’s most important tasks is to carefully design the reception area, other common areas, and attorney and staff work spaces with a fundamental appreciation for utilizing limited and valuable space in a way that reflects a keen appreciation for how it wants employees and the public to experience it. The reception area and other common areas should demonstrate a sense of permanence, aesthetic sophistication, and an impression that the venue was carefully planned according to how it would be perceived and utilized. In doing so, the visitor immediately intuits that the law firm is a thoughtful, professional, healthy and vibrant place of business that cares about its clients, its employees and the community that it serves. Interior design’s impact on law firm branding — otherwise interpreted as the law firm’s public awareness — is invaluable and considerably bolsters a firm’s community presence. Investing in the vibrant design of your firm also impacts productivity and commitment and enhances the overall quality of life for those working in and coming to do business at your firm. Some trends currently exist that help foster such an impression of a modern innovative law firm. The experience of how some of that work time is spent by law professionals is changing. Gone are the days of dark corridors and isolated work spaces. We’re seeing a move toward interior designs where private spaces often coexist with shared areas that have plenty of natural light and that cultivate collaboration. Investing in healthy, comfortable workspaces promotes healthy living at the workplace and presents a strong, innovative and memorable impression to visitors. It is a commonly accepted truth that we create and deliver the best work when our quality of life at home and at work is at its healthiest and most comfortable. Workplace strategists are finding that a suitable work environment is one common thread that unites a multi-generational workforce. A well-planned workspace should demonstrate a firm’s commitment to the goal of fostering a healthy work environment that inspires individuals to do their best work. Top: Conference room. Above: Reception breakout area. Photos by Hedrich Blessing. The reception area is the single most important office venue for reinforcing a law firm’s brand identity. In addition to the traditionally well-designed reception area that features high-quality, durable materials and finishes, a current trend is to incorporate high-tech displays that showcase how the law firm is helping to make the world a better place. These types of displays can play videos or feature imagery that brings the firm’s charitable work to the fore, whether it’s the lawyers’ pro bono contributions or the staff’s extracurricular activities. This permits the law firm to go beyond the commonplace coffee table tri-fold brochure by visually streaming its social conscience, goals and values. Hospitality in a law firm can be much more than providing a Styrofoam cup of coffee retrieved from an office break room. A professional and tailored greeting makes a superior first impression and can be created by having your receptionist welcome clients. As a part of such a greeting, the receptionist can routinely explain available amenities in a “concierge-like” style. As a part of their interior design, law firms might, for instance, consider tailoring first impressions to include an upscale coffee bar with gourmet-level coffee offerings. Also with a nod to the hospitality industry, law firms can consider having refrigerators dispensing filtered water and dedicated ice machines that provide clear ice cubes and shaved ice. Staff, too, will also appreciate a more substantial coffee offering, as well as specialty cold beverages in glass bottles and healthy snacks. By planning for computer monitors and laptop amenable plug-and-play computer tables from the outset, the firm can eliminate the need for expensive floor coring in the slab below. Basic amenities in a break room will also have the potential benefit of inducing lawyers and other law firm employees to stay in the office during lunch, interact more and possibly minimize some of the time lost by the “need” to leave the office for lunch. 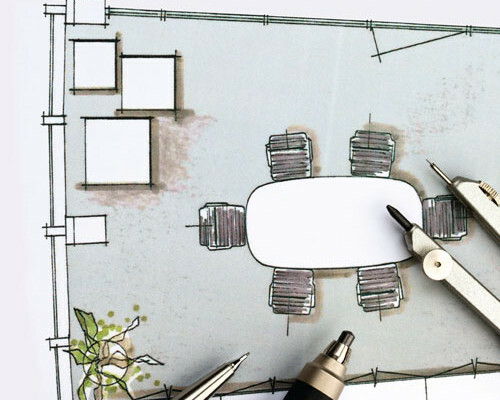 By designing and planning for flexible, multifunctional spaces, law firms can redefine spaces. These spaces can be used for everyday use, as well as for special functions or events. Several manufacturers now sell systems to facilitate such re-configuration of office floor space. Law firm workplace planning is moving toward facilitating each attorney’s individual work while also producing a more interactive, collaborative experience. This is achieved in part by creating multifunctional spaces. With technology and the use of Wi-Fi, we are seeing a variety of seating styles, from lounge seating and community tables to banquet-like setups. Studies show that flexible and multiple work-style workspaces increase productivity. Combining spaces can both maximize functional square footage and create a more home-like or café-type environment that promotes communication in a more tangible way. The combining of rooms, or the ability to alter the layout of rooms, often saves a considerable amount of money in terms of square footage lease costs. When a law firm is large enough to take up multiple floors of an office building, it is advisable to reinforce planning strategies for a vibrant and healthy work environment. Break rooms and restrooms should be adjacent to stairs to encourage socialization. Designs should incorporate an interconnecting staircase that is inviting and readily visible. Ideally, stairs should be adjacent to the reception area, with the design of stair finishes at the same level as other public areas. The stairs should have ample stepping strides and larger landings where staff can stop and have impromptu conversations. Workplace studies show that creating areas for spontaneous interaction can make a firm more productive and provide employees with a sense of connection to their workplace. Ten years ago, the average square footage of a lawyer’s private office space was approximately 225 square feet. Today, we are seeing an average of closer to 176 square feet because of the increase in rentable square footage cost, the reduction in space required for technology and the decreased need for client meetings in the private office. However, people still need a place conducive for focused work. Having worked with lawyers across the country for nearly 30 years, I have found that there are two planning strategies that are not suitable for lawyers. The first is positioning lawyers in open workstations. Research suggests that these are stress-inducing environments that are particularly ineffective for those who need in-depth, quiet concentration. The second ineffective set-up is the “one-size-fits-all office.” While one-size offices, with flexible furniture arrangements and types, can be cost-effective, the plan is often unrealistic. With adaptable workspace layouts and the existence of full-height movable wall systems that are designed with the same (if not better) acoustical control, flexibility can be maintained. In many law firms, I see the need for at least two office sizes with various furniture types and arrangements. Younger lawyers like having the ease of access to senior staff members who have the experience and knowledge that they often seek out. Glass walled offices and/or glass doors facilitate this accessibility in a manner that also fosters productive relationships between lawyers of all generations. Glass walls can still provide the necessary acoustical privacy, while glass fronts along the perimeter allow for natural light to illuminate the interior space. As opposed to standard swing doors, sliding doors are surprisingly helpful in increasing usable floor space and making the smaller private office footprint more efficient. We are also seeing a trend toward “work walls.” One wall in the office, usually the wall opposite the door, is used to maximize storage and to house one or more computer screens. Placing computer screens on the side walls minimizes the glare from the sunlight. Also, removing the traditional double-pedestal desk in favor of a height adjustable table desk allows the user of the space to personalize his or her office. By providing these choices, the firm demonstrates respect for the employee and increases his or her sense of value at the firm. Evidence is mounting that sitting for more than two hours a day is directly linked to multiple health problems, as noted by Dr. James Levine, professor of medicine at Mayo Clinic. There is now a trend to support individuals’ initiatives to have a “healthier” desk. To be healthier and more productive, employees often “get up, stand up” by using the adjustable height tables and computer stands now available from many commercial furniture manufacturers. Corner partner offices have, for the most part, evolved into conference rooms or shared spaces. Planned in-corner office spaces work well as conference rooms, case rooms or collaborative team meeting areas, with glass walls that make the energy in the room visible. Plan conference room spaces to have a feeling of flexible spaciousness that incorporates the latest technology. In planning for and promoting a healthy work environment, the interior designer must consider health at every stage of the planning process. One of my favorite resources can be found at centerforactivedesign.org, which is a website maintained by the not-for-profit Center for Active Design. Specify materials and finishes that promote a healthy indoor air quality and that are durable. Provide easy and inviting access to stairs. Provide proper air circulation and ventilation, when possible, and design for operable windows to improve thermal comfort. Maximize daylighting — provide lighting systems that promote comfort, are energy efficient and promote well-being. Wherever possible, maximize interaction with nature/green spaces. Provide for ergonomic furniture — sit/stand workstations and balance ball stools. Plan for agility and flexibility. Use individual controls or smaller zoned areas for lighting, heating ventilation and air conditioning. One size office does not fit all — design for agility and flexibility. Design for a healthy environment by putting people first; understand the economic value; provide avenues for staff to personalize their workspaces. 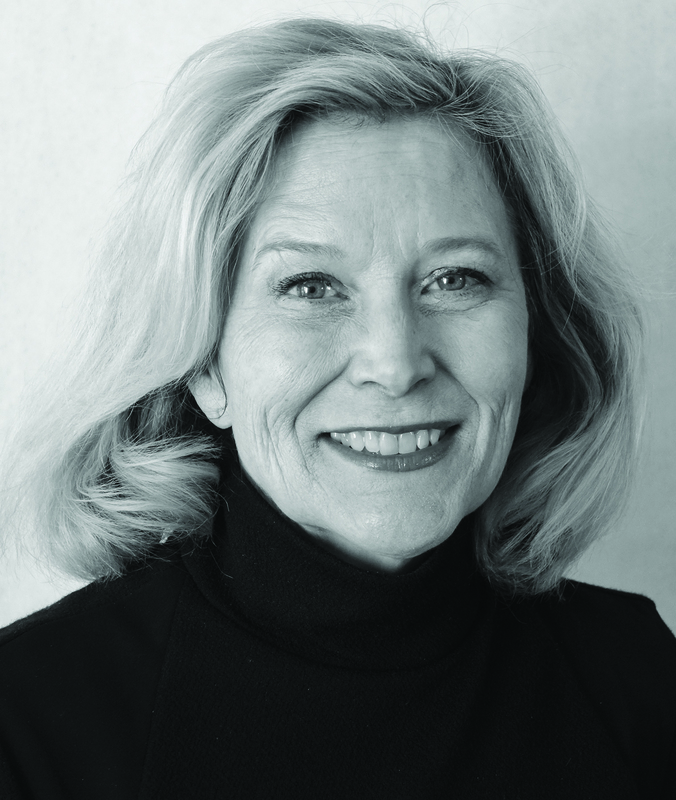 Carol Koplin, ASID, NCIDQ is a former president of the Colorado Chapter of the American Society of Interior Designers and is the principal member of Koplin Interiors, LLC, a Denver commercial interior design firm. Carol has more than 25 years of experience specializing in the interior design and space planning of professional offices. She was most recently the principal interior designer for the Ralph L. Carr Judicial Center. Carol can be reached at carol_koplin@koplininteriors.com. For more information, visit koplininteriors.com.